Science and bartending may seem very different on the surface, but if you want hard facts backed by proven evidence, you need to look to science. Here are 5 ways to increase your tips as a bartender, using science. Have trouble remember people’s names? Here are some great tips from Joyce E. A. Russell from University of Maryland’s School of Business. A study at New York’s own Cornell University scientifically proved that eye contact can inspire strong feelings of connection. Research dating 60 years back has shown that looking someone in the eyes invokes a feeling of trust. This connection and trust is what is going get your customer to leave another dollar or two. And yet, according to this Fast Company article, adults look at each other in the eye on average 45% of the time, when we should be looking 70-80% of the time. 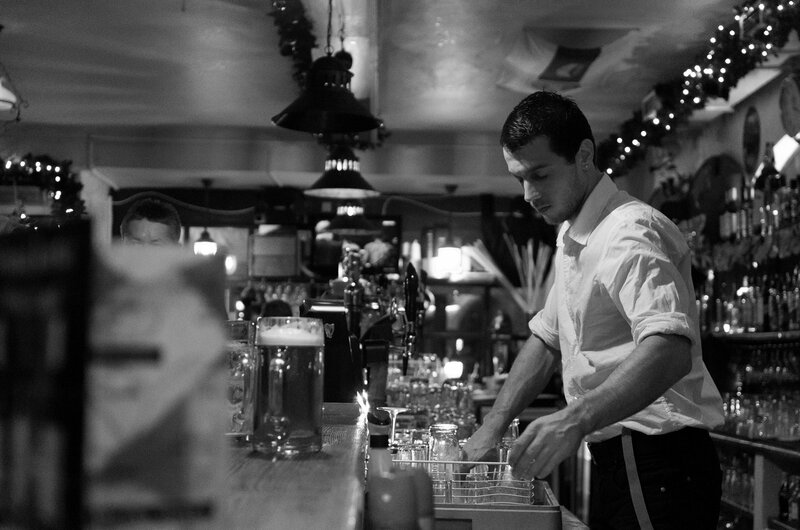 So, even behind a crowded bar, take a few more seconds to look your customers in the eye. This one is easy. Smiling makes you happy. Smiling is infectious. Therefor, if you are smiling, your customers will happy and smiling. And happy customers equals cash. This Forbes article tells us how its actually really hard to frown at someone who is smiling. Our muscles actually can’t help it when we look at someone who is smiling! But, remember, don’t fake it, because research also shows that we are great at detecting fake smiles. Try to enjoy yourself behind the bar, and watch the cash roll in! A simple compliment can go a long way. Take the time to comment on a nice scarf or pair of earrings and you will be rewarded. It is found that people who have high self esteem will feel even better if you flatter them. So keep the good vibes going and you’ll be in for a big return. Science tells us that people like to feel good about themselves, and that is the business we are in, feeling good. However, make sure you keep it real, because people have a keen eye for fake flattery. Remember, egos inflate with alcohol. Be fair and honest at the bar. You can’t be buying drinks for one person all night and not expect someone else to feel slighted if they see that and you don’t buy them a drink. You could do 99 out of 100 things correct but the 1 thing they catch you doing wrong is the one people remember. Make a point to remember everyone’s orders, not just the pretty ones.